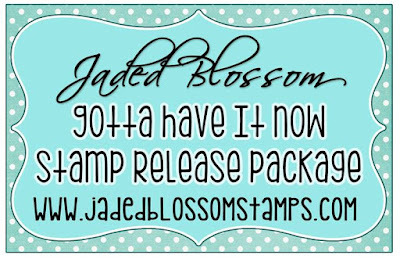 Jaded Blossom January Release and Hop !! 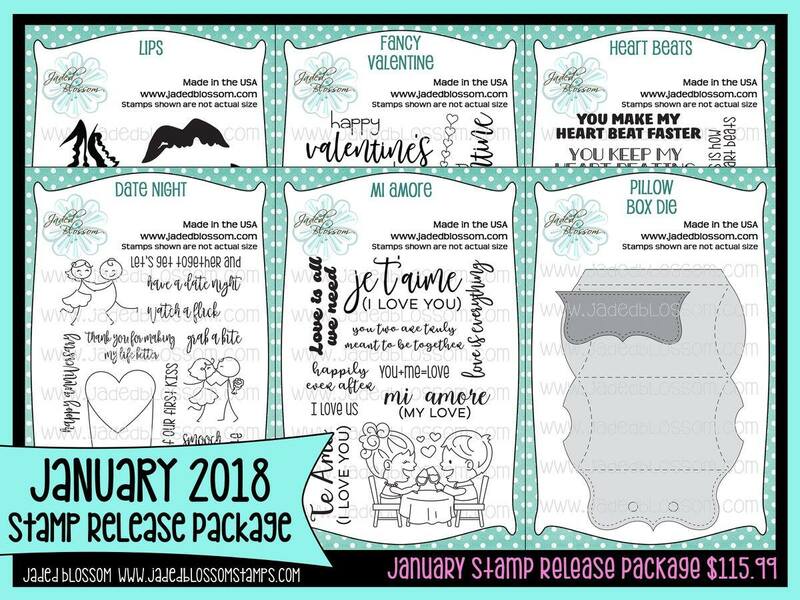 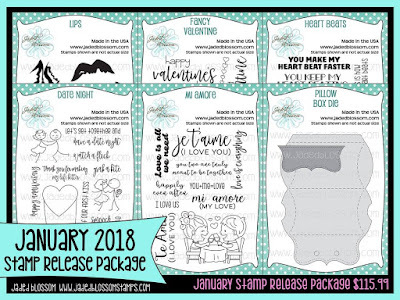 Welcome to Jaded Blossom's January 2018 Release Blog Hop. 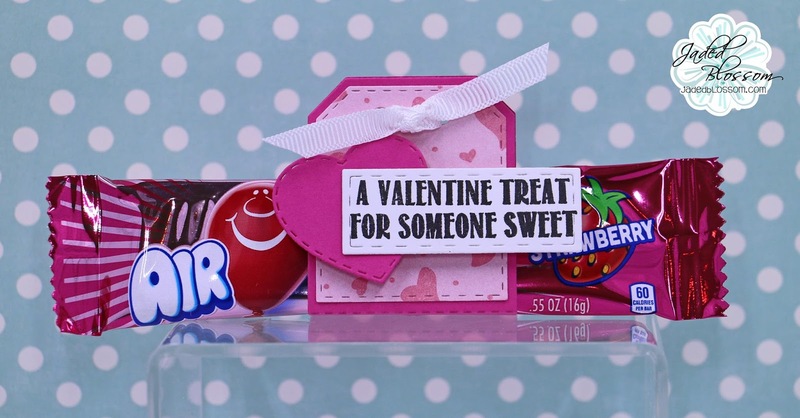 I cut off the end pieces on 1 side and the extra flap across the top, this created a pocket perfect for a candy bar !!! 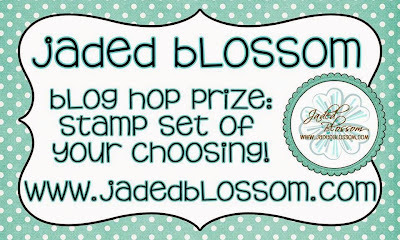 Feel free to shop the Jaded Blossom Store! 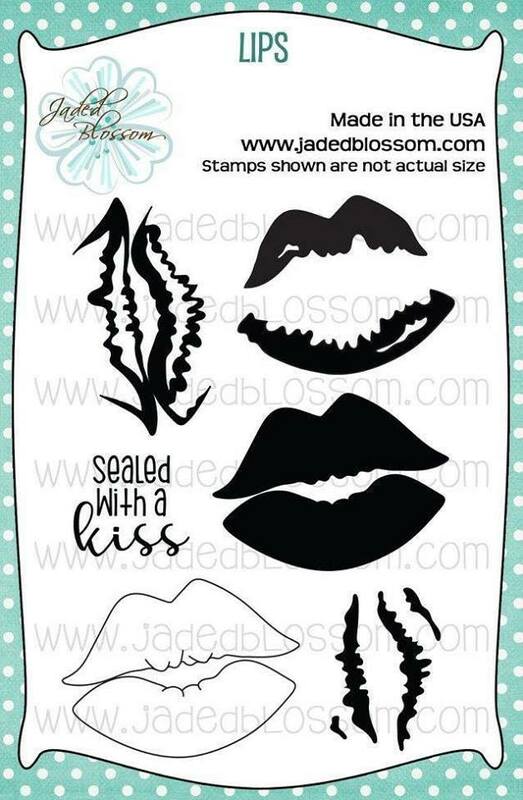 Today is the last reveal of the Jaded Blossom Release ! 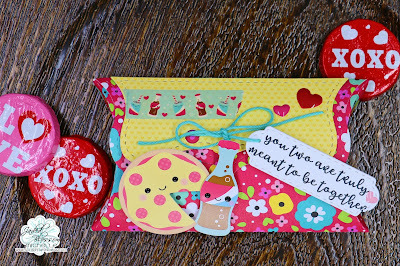 I created these notepad holders with a cute pen !!! and I found the heart pens at the Dollar Tree! 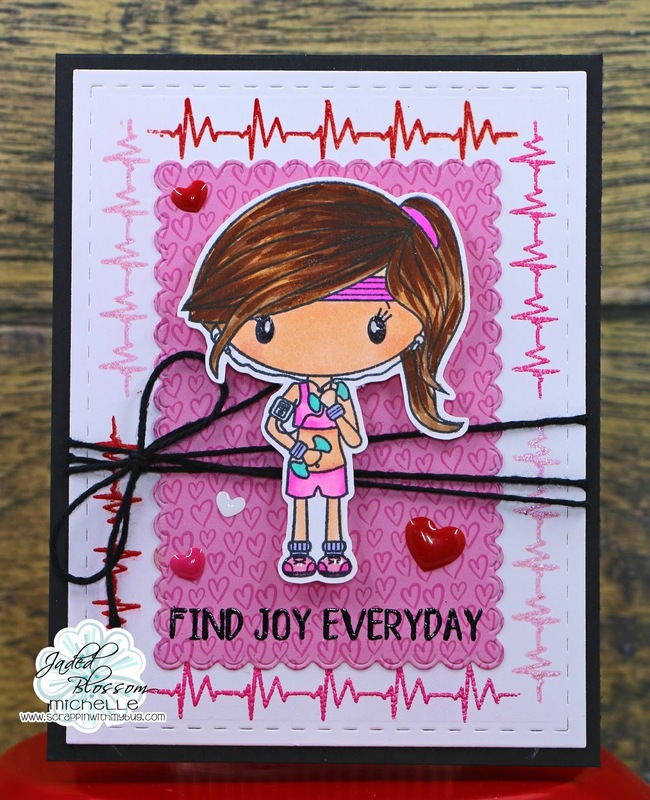 Its all about Heartbeats today !! 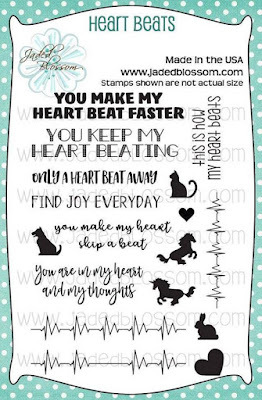 I embossed all the Heartbeats and sentiment using sparkle and sprinkle embossing powders! 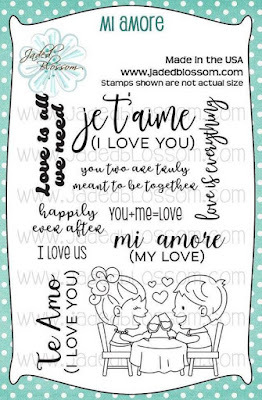 Were still talking LOVE this week !!!! 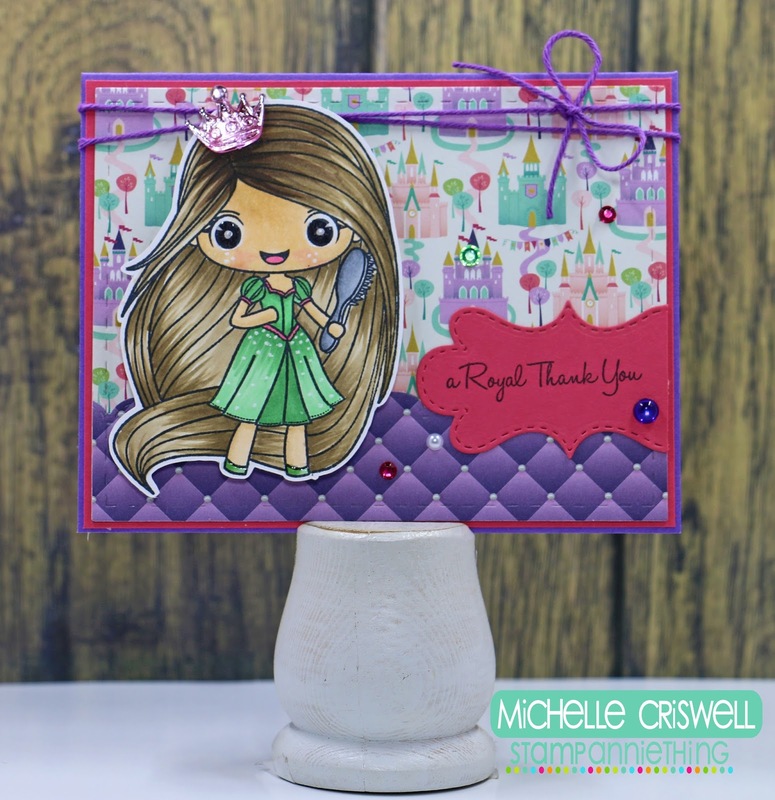 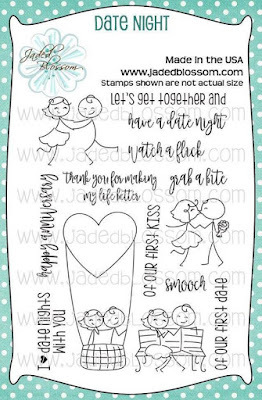 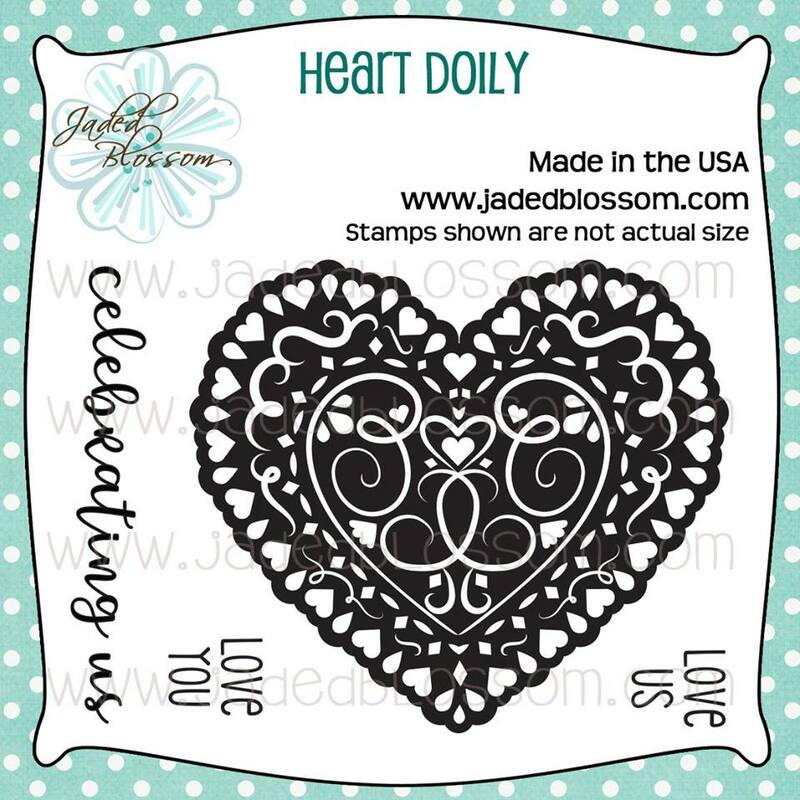 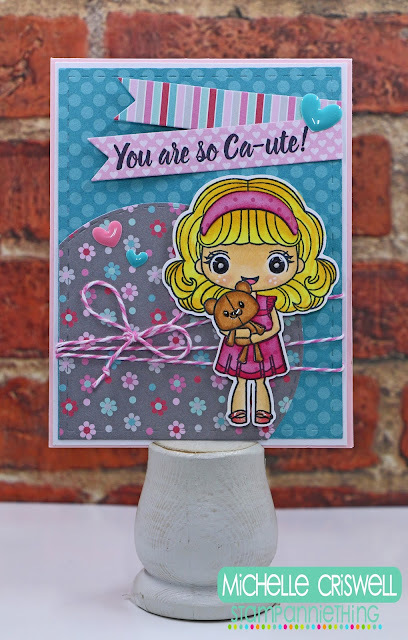 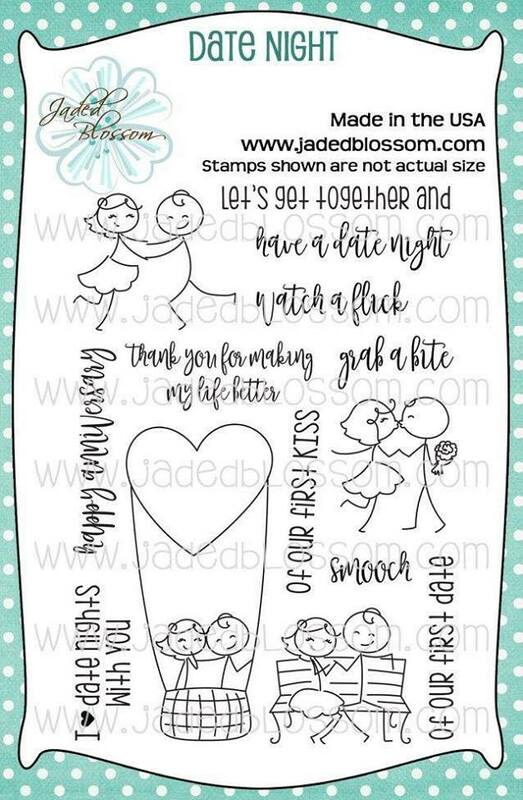 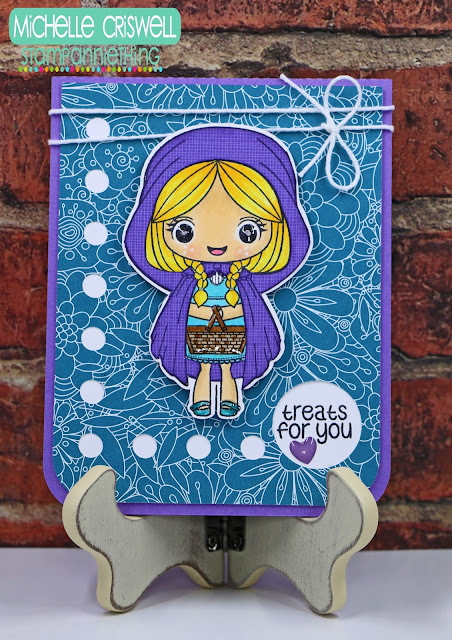 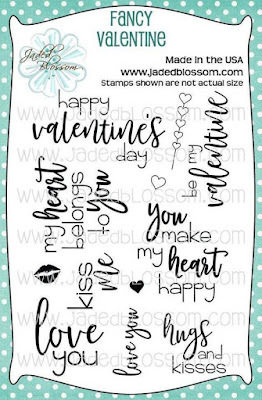 Jaded Blossom carries Doodlebug paper and I LOVED it when I saw it !!! 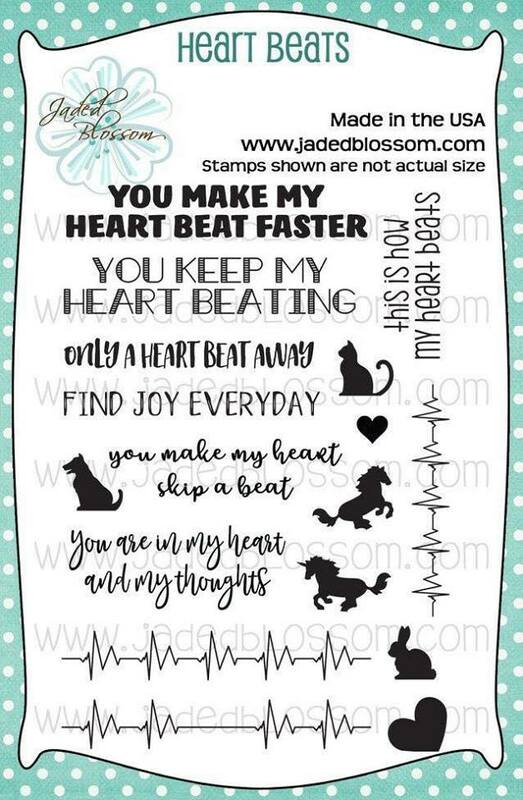 Thought this sentiment fit perfectly ! Because I cant eat pizza without a Pepsi lol ! 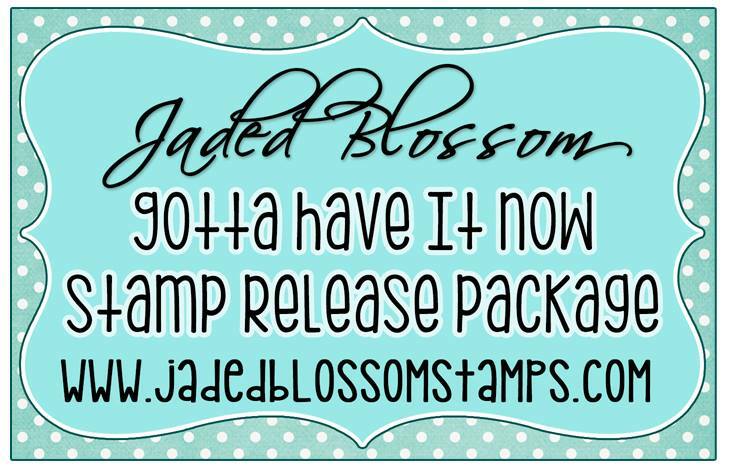 Jaded Blossom Day 1 release !!! 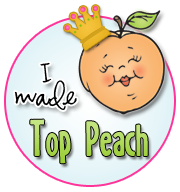 Now for Day 2 ! 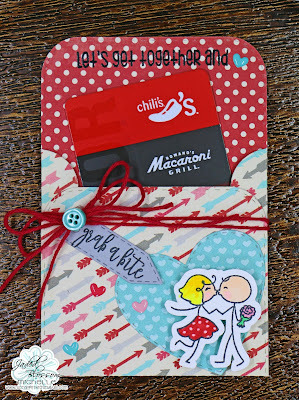 Today is all about Date Night !!! This is such a CUTE stamp set !!! Check out the cute set below !!!! 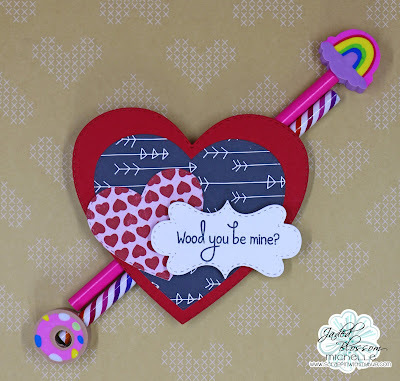 What would Valentines be without a treat ??? 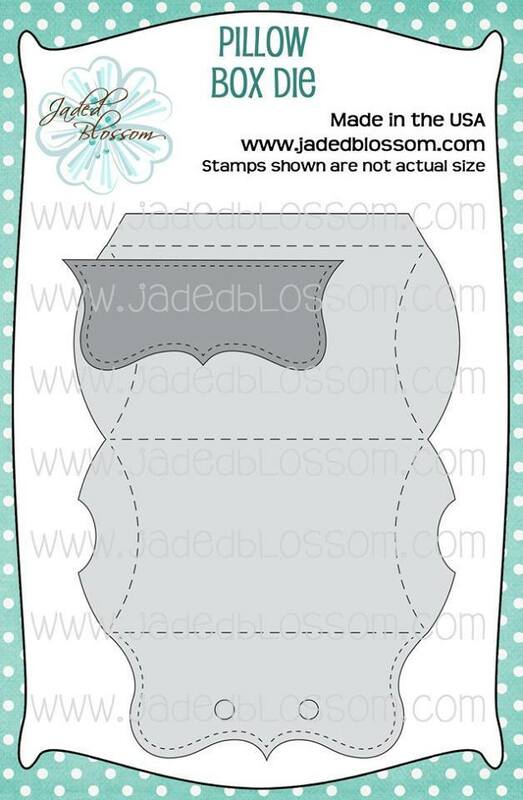 We are releasing a NEW Pillow Box die that is soooo cute ! 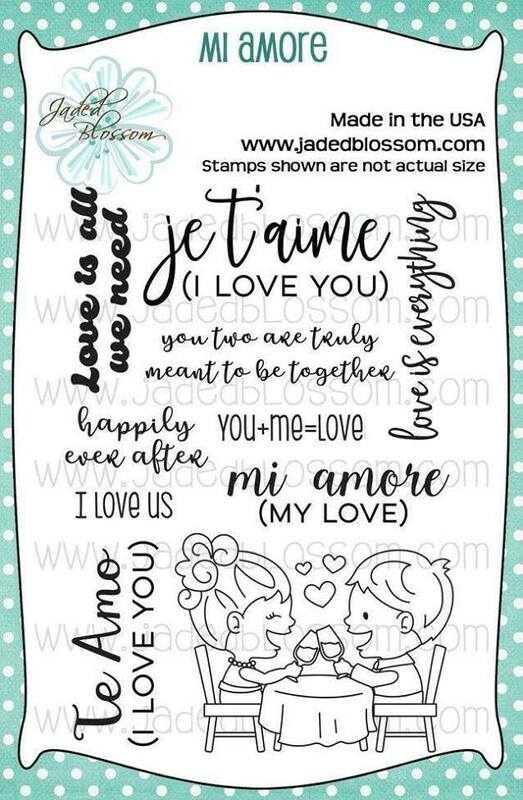 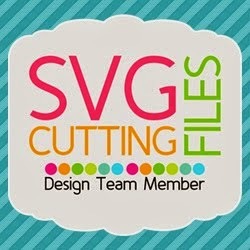 I used it in my project below ! 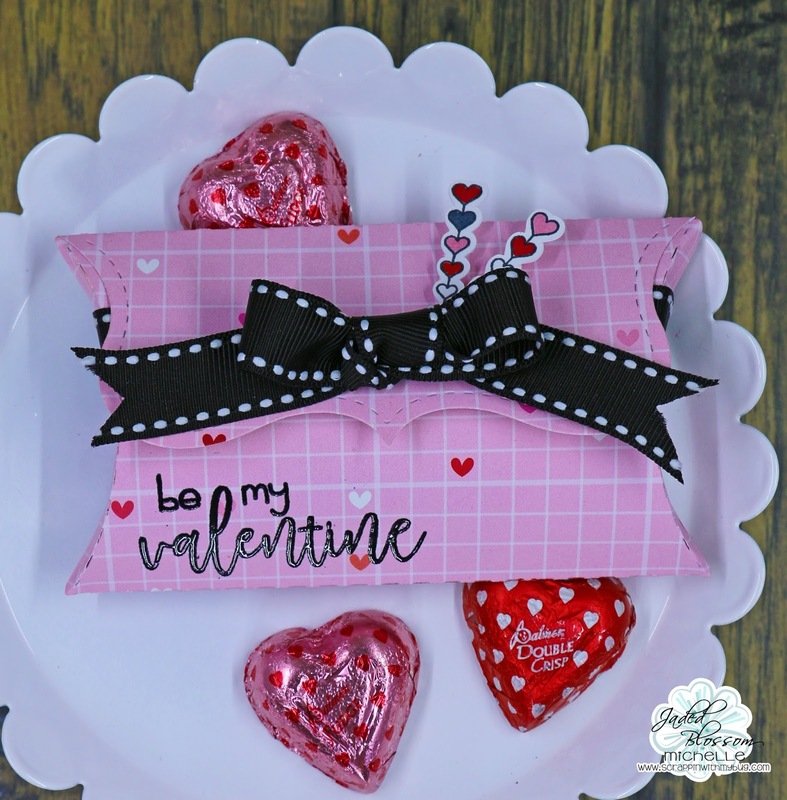 I love the stitching detail and flap on the pillow box ! 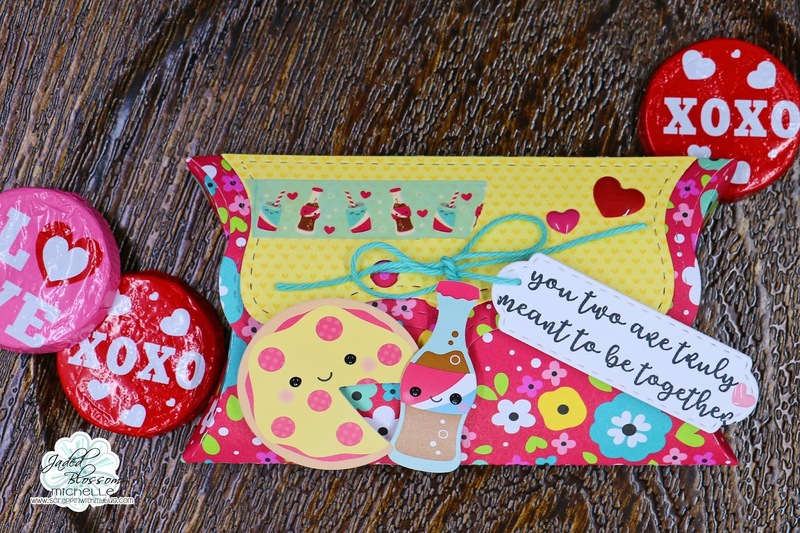 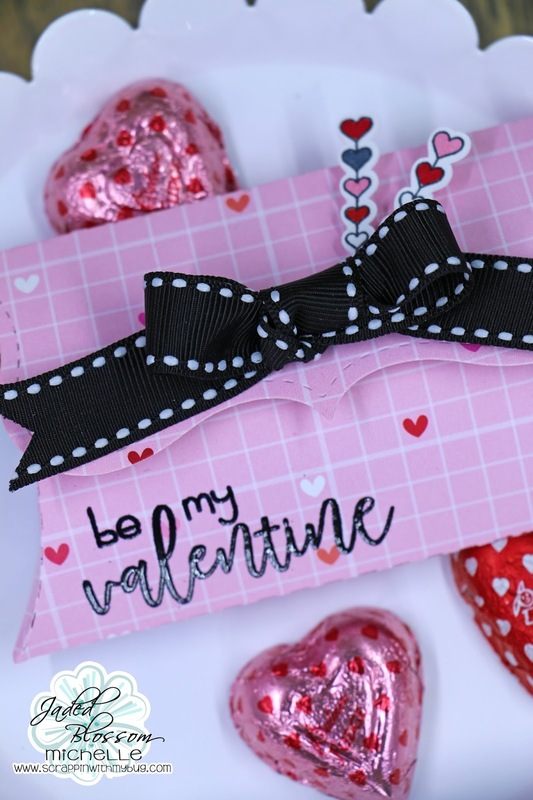 I embossed the sentiment with the NEW stamp set and colored the adorable heart pin stamps !! Jaded Blossom Challenge ~ Hearts ! 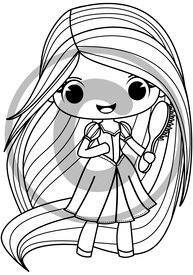 Happy New Year !! 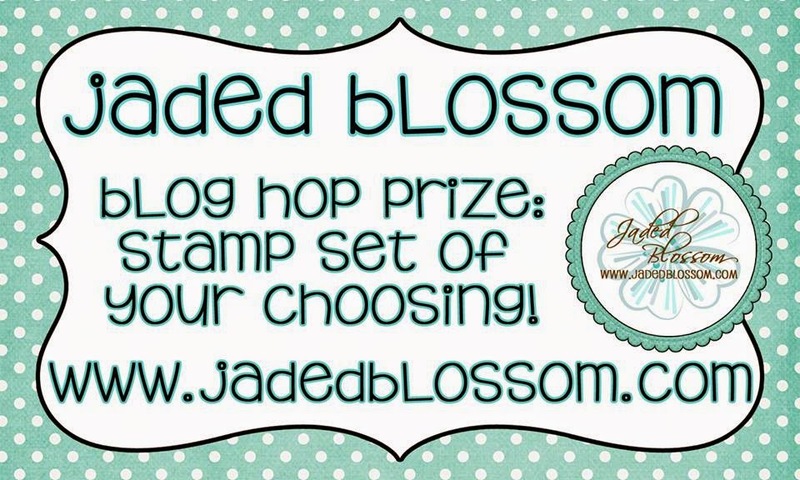 Time for a New Jaded Blossom Challenge ! 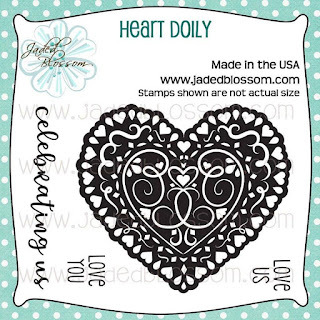 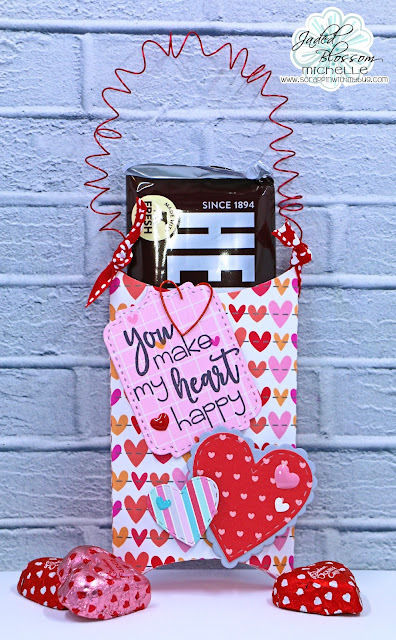 Its all about Hearts this month ! I made 30 of these for my daughters class for Valentines Day ! I got these CUTE pencils at Michaels ! 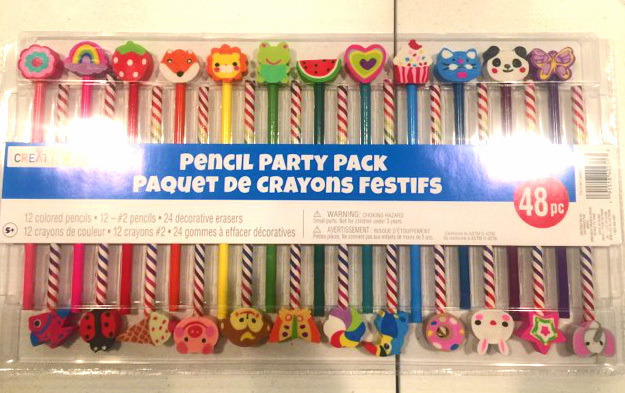 They had a 24 packs on clearance for $ 1.20 !